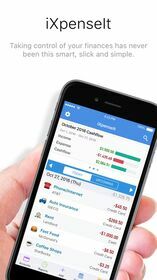 * 50 Most Useful iPhone Apps (Best Expenses App) - LAPTOP Magazine. 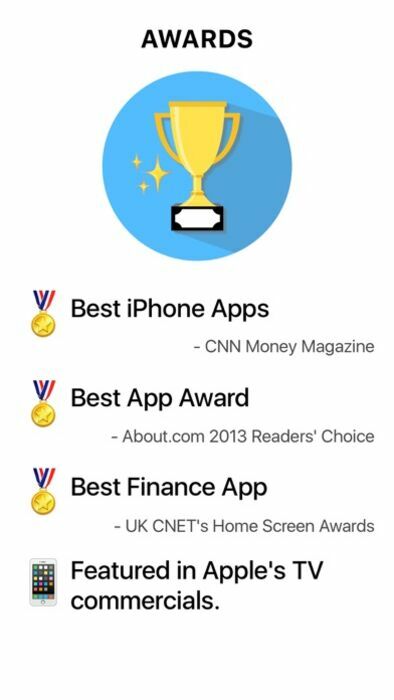 * UK CNET's Home Screen Awards: Best Finance App "..this app isn't one of the sexier uses for iPhone. It's mightily useful, however, for anyone looking to track expenses or plan a monthly budget. 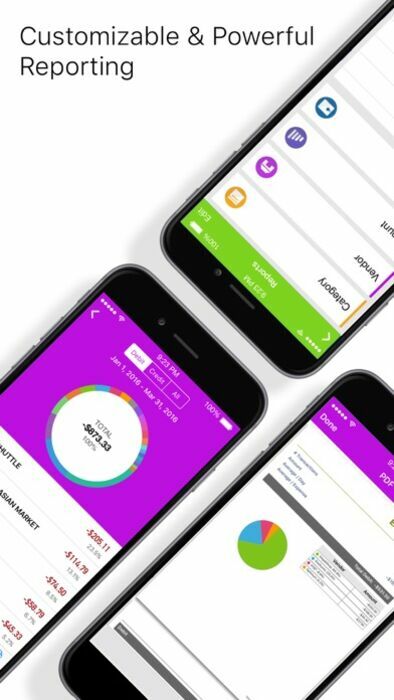 The interface is clean and quick to use, with good visual representations of your spending by category. It feels secure too -- a concern for many corporate users -- with password protection and the ability to backup and restore data at will. And if you want a gimmick -- but a genuinely useful one -- you can take snaps of individual receipts to be stored in your records too. Just what the company accountant ordered." *****Featured in Apple's TV commercials. 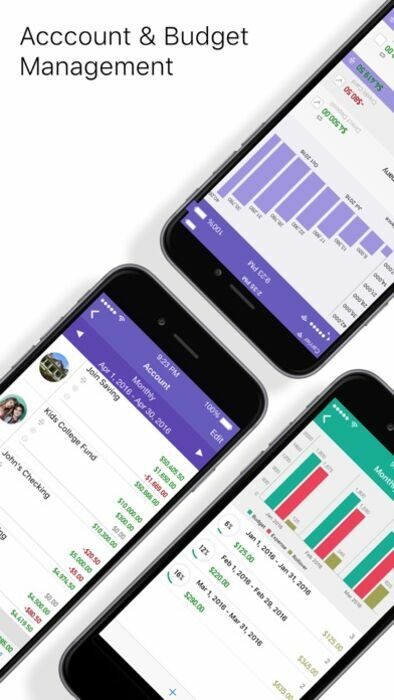 Backup and Consolidate all your financial data by seamlessly syncing among family members, partners across multiple devices (up to 5 devices). - Monthly Sync $1.99 (Local equivalent price will be shown on the In App Purchase Screen). 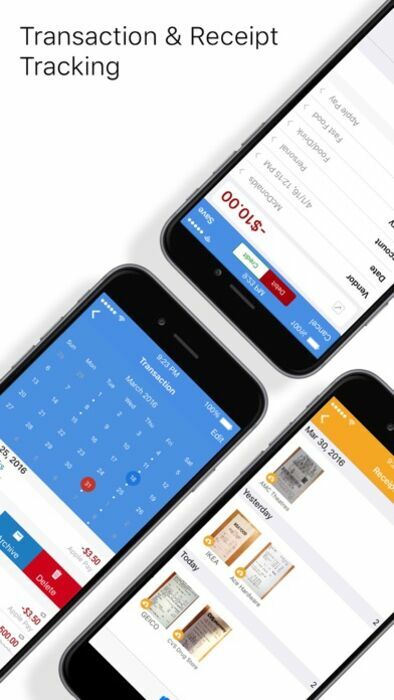 - Yearly Sync $19.99 (Local price will be shown on the In App Purchase Screen). - fixed a sync bug.